Following our recent sharing of our very own showroom transformation and our detailing of our Century Court project, we have decided to create another piece in our transformation series. Aware that spring has broken into its stride, we promise not to use too many Easter/blossoming metaphors! The Primrose Hill bathroom project was an incredible experience for NW3 Interiors. Our client had decided they wanted to revolutionise their bathroom. 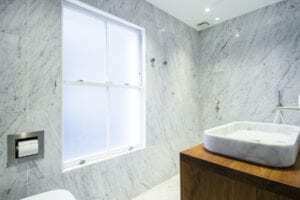 But this project wasn’t a new coat of paint – the bathroom was designed to be reminiscent of their favourite hotel, Café Royal, a 6 star Piccadilly paradise. The challenge for NW3 was to create a true, immersive, luxurious experience in a small space. To do this, we needed trusted help. As an authorised deal of Neutra, NW3 had the perfect resources available to create just the feel. Neutra specialise in washbasins, bathtubs, shower trays and shelves with a contemporary design, with coatings from refined textures and furnishings, the result of an inspired dialogue between natural materials and advanced technologies. 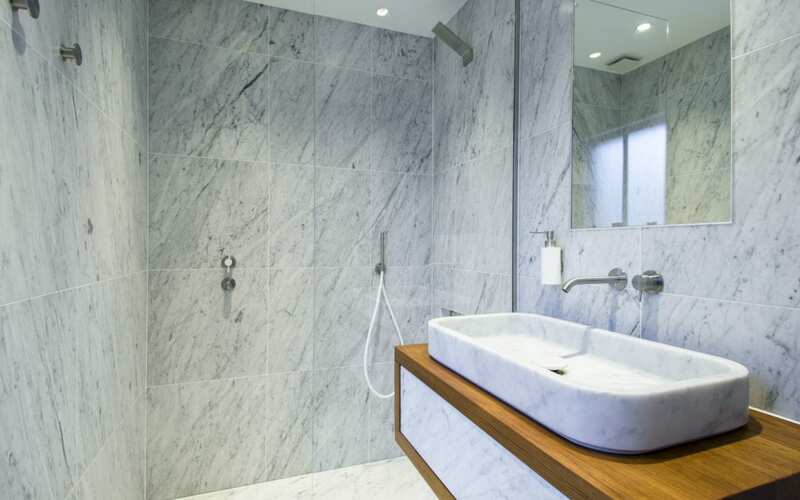 The marble veining was meticulously planned and installed to create a perfect movement of natural stone. The builders were amazing, installing the heavy marble with great care to ensure everything went without hitch. This project certainly tailored to some of the finer tastes; the bathroom includes heated wall panels to dry towels and keep robes warm. We’re proud of the transformation, and hope you enjoy some before and after shots.